Gilroy awoke in a cold sweat. His palms were shaking. He had the most horrible nightmare. He knew what he must do. The many years spent perfecting his plan had taken their toll. He was a mess. He could never sleep. Before getting 10 minutes of sleep, he would burst awake. Finally his alarm clock buzzed, only after two buzzes he stopped it. He had been waiting all his life for this moment. His great-grandfather would be avenged! Walking to the nearest tube station, he crossed his fingers every time a tube officer walked by. Reaching the tunnel, the smell of hot, sweaty, and puzzled tourists looking at brochures and maps made him grimace. When the train finally rushed in, the wind from the train felt cold on his face. The doors opened and he realized that there was no way he was going on this train with wall-to-wall people. The doors closed and he waited another three minutes for the next train. This one came, and he pushed his way inside, taking a seat on the coffee-stained cushion. When he arrived at Tower Square, he jumped up out of his seat, almost knocking a nearby lady’s bag out of her hand and hopped off. Gilroy followed the exit signs to the electronic gates and emerged into the bright sunlight. As his eyes readjusted to the light, he spotted his tour group by a lamppost where they were to begin the three-hour tour. He chuckled at the fact that he was wearing the same ridiculous tee-shirt and hat that these pushing and shoving tourists proudly wore. Soon after his arrival, they shuffled off. The tour guide was talking in monotone about how old the Tower of London was, but Gilroy wasn’t listening. Instead, thinking about what would happen to his kids if he was captured, he shook his head vigorously to get the thought out of his mind. The Tower loomed over the small tour group. To tourists it would mean death, despair and torture; but to Gilroy, it meant opportunity. “No,” the guard answered, looking up with surprise from the row of computer screens across the wall while swiveling around in his chair. “If you want to go, I guess I can cover for you,” Gilroy responded with a trace of regret in his voice to sound convincing. At first the guard looked closely down at his security badge. Boy, I’m glad I researched the details of these badges, Gilroy thought as he managed to keep the smile on his face. Before he could finish the sentence, the guard was out of his seat and through the door. The sound of the door clicking shut was the starting gun for Gilroy’s race. First he changed the tapes from last week’s cameras to this week’s to buy some time. If anyone entered the guard’s room while he was in the crown room, they wouldn’t notice a thing. The screens showed a normal tourist day at the Tower. Then, he turned off the crown case’s alarm. He slammed the alarm on for the rear Silver Room with a staccato movement, causing the piercing bells to ring overhead and throughout the castle grounds. All security guards swarmed to that area. He sprinted out the guard room door, grabbed the cake box out of the janitor’s closet and sprinted through the stone brick hallway to the spiral staircase. He took the stairs three at a time with a catlike agility. Nearing the bottom of the staircase, he stopped. He was so close to the ruby he could almost taste it, almost feel its smoothness in his hands. He shook his head and kept running. Finally, he was there. Standard procedure for alarms had the guards escorting the tourists out of the room into the waiting area. Perfect, he thought. No witnesses. He slid behind the side column out of sight. Once the guards were out the door, he took out the contents of his cake box – the replica of the crown, his tourist hat, glass cutters, and suction cups. Working as fast as lightning, Gilroy began the glass cutting around the case’s edge. The grinding sound of the cutters made him wince. The suction cups gripped onto the glass for dear life as it was moved to the side. He thought he could hear the “tic toc” of the nearby clock, but then realized it was only the pulsing of his blood on his temples. Ever so slowly he inched the crown over the glass. He caught himself staring at the jewels before realizing that he only had a few seconds until he was discovered. Carefully the sparkling replica was then placed inside the glass. He had to make sure everything was exactly as it had been. Any change would signal to a guard that the crown was stolen. A wry smile crossed his lips as he placed the hair from Prince William inside the case. The hair was worth every dollar he had spent to purchase it on eBay under a fake name. He knew this would buy him the most time. Ever so carefully, he shimmied the glass cover back into place. He caught a small drop of sweat running from his temple before it graced the glass. Now he focused his attention on framing the second suspect. The wallet he had carefully lifted from the security guard’s jacket on the back of the door was placed open on the moving walkway. The poor man was so interested in the cake that he had left his bulging wallet with his ID and £11.00 in plain sight. Taking one last glance around the room, he inhaled a deep breath and glanced at his watch. Thirty seconds to go until he was over his four-minute limit. The guard uniform was quickly peeled off and placed into the cake box. Setting the tourist hat upon his head he headed for the door. Just at that moment, a guard burst through the door. “What are you doing here?” he questioned. “What is going on here?” Gilroy asked. “I went to the bathroom and all of a sudden I heard bells louder than St. Paul’s Cathedral. Running in here, I lost my tour group. Have you seen McKenna’s Fabulous European Tours?” Gilroy asked, pointing to his tee-shirt. The guard looked at him extremely irritated. Grabbing Gilroy’s arm the guard led him into the waiting area, shoving him into the middle of the tourist throng. “Hey, you’re going to hear about this when I call the ticket office with a customer complaint!” Gilroy shouted at him. Gilroy had to laugh at their ignorance. He had been counting his years of jail one moment before, now he would just have to count his blessings. He only hoped the tourists couldn’t see the sweat dripping down his face or see his heart pounding through his chest. He squirmed into the middle of the crowd, attempting to further blend in. Gilroy took another deep breath to slow his guilty heart and the tourist group was led out of the tower grounds. He just followed along as they were ushered out the door and given complimentary return tickets for their trouble. It wasn’t until he was on the plane ride home that Gilroy actually believed that he had achieved his goal. 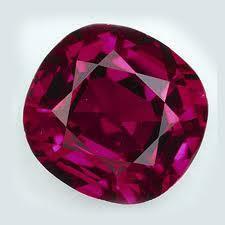 He had taken his prized ruby out of the crown and had it in his carry-on bag as one of the eyes of a stuffed dragon. The airport security team didn’t even look twice at the toy. The rest of the crown, he shipped to a PO Box from a local mailing facility. Thrown in with other tourist trinkets, it would never be suspected of the true gem it was.